The new WeatherInfoViewer is special software made by Bonito. It receives weather information from the WEATHERiNFOBOX and processes it with the latest technology, sort, classify and visualized. Even complex weather conditions are presented in easy to understand pictures or animations. This weather information is computed with modern meteorological and Mesoscale aspects. 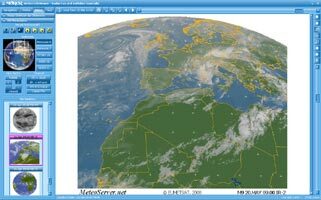 Weather Info Viewer uses technologies which could not to be found in the market so far and bundles 30 years of experience. 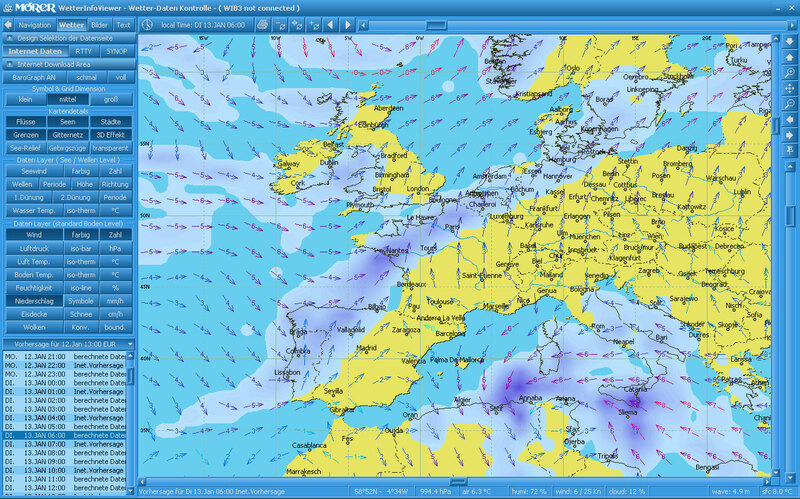 The moment WeatherInfoViewer starts, some of the foremost changes are in plain view: it is distinctive and eye-catching. Colours are subtler and the overall looks are just magnificent, never seen before. For efficient operation the work area should be as large as possible. 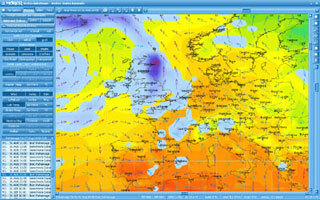 With WeatherInfoViewer you will be able to conveniently adapt the user surface to your liking. Using the integrated “color management” the window colours of the user interface can be set as well. This can improve the visibility extremely if you operate for example in the night/evening. As owner of the WEATHERiNFOBOX you already know the pros and cons of your equipment. With this software you extend the functions substantially. The WeatherInfoViewer has the special ability to convert the simple text messages of the DWD (=German Weather Service) in to place, time and meteorological data sets to show these data in a graphical animated picture series. This makes it easier to understand the weather situation significantly, because now you can see a "moving picture" of the weather for the next few days. In contrast to other weather systems the presentation of the meteorological data is very intuitive and presents the data in a very simple and uncomplicated ways - just as you'd expect it from a modern software. 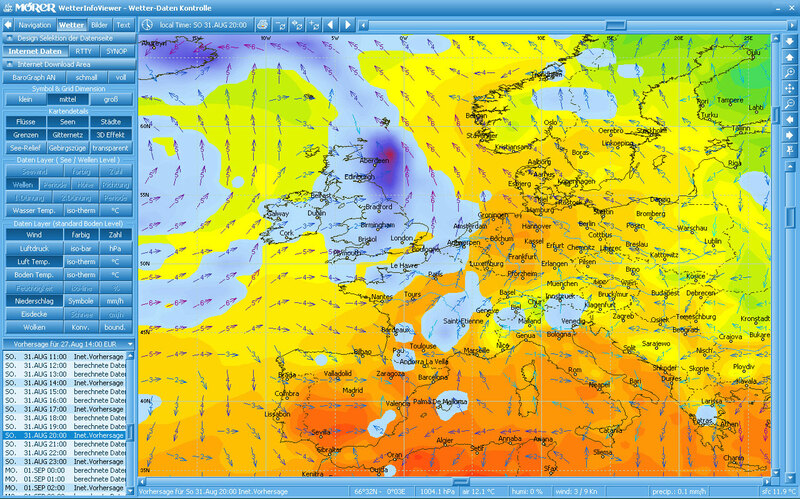 With only one mouse-click you will get all forecast values in plain text. Furthermore, the integrated Barograph Diagram can be used for your own weather analysis. The WEATHERiNFOBOX with built-in barometric pressure sensor records the air reassure curve for up to 7 days. Only those who have seen the Barograph curve before, during and after a storm know how a disaster can be prevented. You can ‘see’ a storm coming at a very early stage. 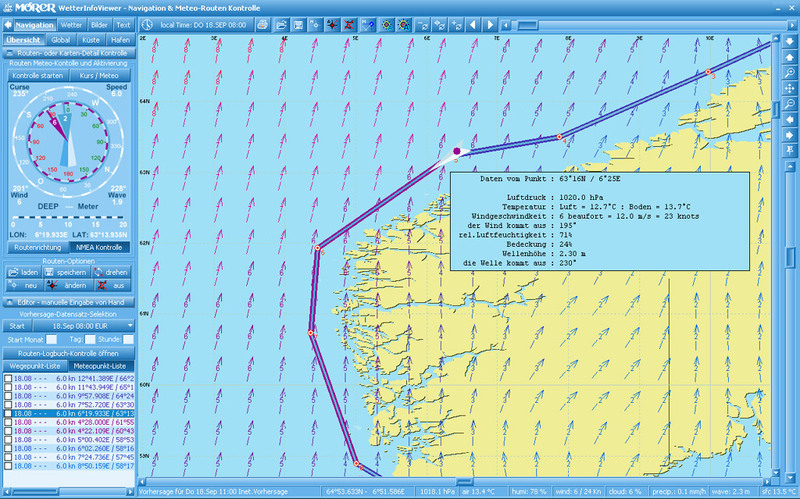 The Navigator version includes MeteoRouteControl: You can create the planned route on a map similar to a navigation map. 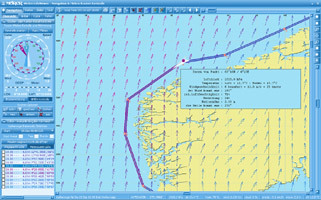 WeatherInfoViewer then calculates the weather data using the journey's estimated time and colours the planned route according to the weather situation. Thus you can see easily when, at what time, and on what route section unfavourable weather conditions will be expected. The route can be modified and exported, if necessary. This extension is meant to control a route realistically, using a GPS, from the meteorological site. There is no guarantee given by us for the topicality and correctness of the Navigation charts. An additional option to the Weather Messages provided by the WEATHERiNFOBOX is the Internet weather forecast data via the MeteoServer (www.meteoserver.net). It allows downloading high resolution forecast data up to 7 days and even satellite images. The weather forecast data servers are a good and inexpensive addition to the Weather information received by the WEATHERiNFOBOX. 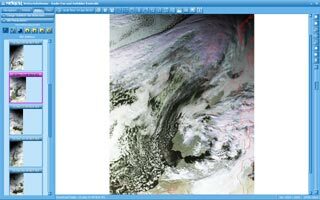 The Standard-Version, which supports the standard features of the WEATHERINFOBOX, plus: converts the received text messages to graphical animations, records and draws barograph diagrams and optional downloading of high resolution weather data from MeteoServer via the Internet. Both versions come with a 14-days trial access to the MeteoServer weather data via the Internet, or are offered directly with 1 year weather data via Internet. The Navigator- and the Internet weather data- Options can be unlocked during or after the trial period via the Internet. See the prices in the price list. Not all WEATHERiNFOBOX can receive NAVTEX, RTTY and SYNOP messages. The WIBE, for example, is the only one which receives WeatherFax. And not every WEATHERiNFOBOX has a built in air pressure sensor. It may seem not very practical to operate the WeatherInfoViewer with a legacy Navtex receiver without air pressure sensor. However, if you buy the option for Internet weather data, you get a very modern and useful setup. Because the Internet can be accessed with any mobile phone and many marinas have W-LAN hotspot. 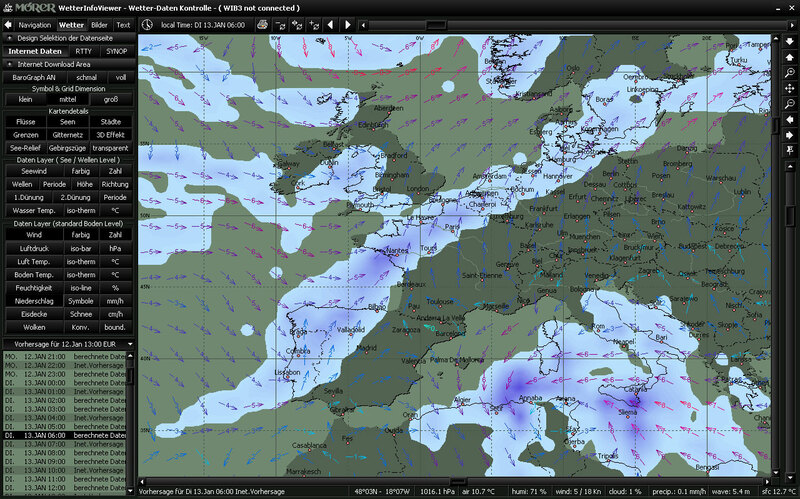 Therefore, the Internet Weather data option makes sense with any combination. Which weather info viewer functions are available for the WEATHERiNFOBOX? 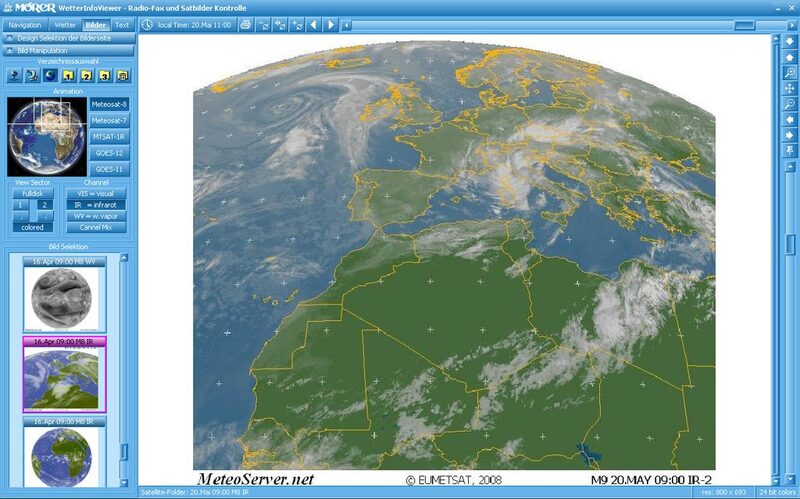 All WEATHERiNFOBOX Models can be used except WIB D.
The computer must have an Intel Pentium/Celeron processor with at least 750 MHz, 256 MB RAM and either Windows 2000/XP/Vista or higher installed, as well as a graphics card with 1024x600 32 bit colour resolution. Windows 7 Beta is already tested and work fine. Weather Info viewer must be registered and unlocked via the Internet. For protection against abuse and also to get updates and / or to have access to the meteorological data from the Internet. Without registration, the software does not start.